Richard Langford of Langford Productions has once again given the community a heads up in relation to his latest in development ZX Spectrum styled Shoot em up ' Project ZX ', which is coming to the PC at some point during March. 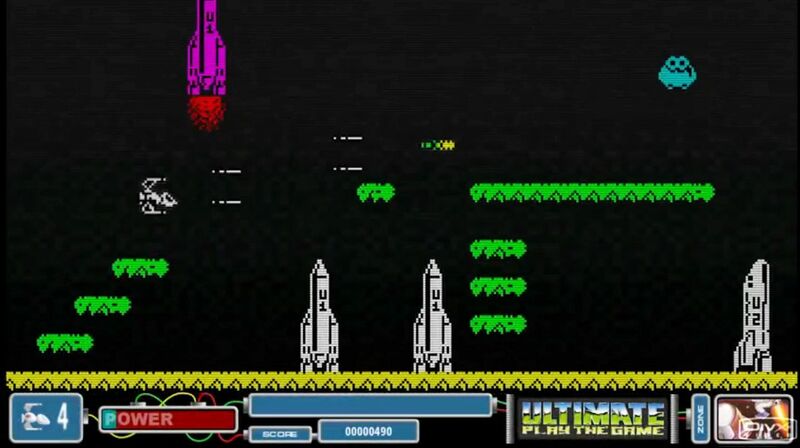 Developed by the same guy behind the Cookie, Pssst, Highway Encounter, The Hunch and even Frank N Stein remakes, Project ZX is a rather unique Shoot em up, in which you must battle classic ZX Spectrum sprites after they were unleashed upon the world by the enraged Clive Sinclair. Throughout the game you'll be blasting through many different scenes viewed from classic games that we have grown up with and still remember to this day. Classic games such as Jet Pac, Pong, Robocop, Horace goes Skiing, Trapdoor and many others will be featured, as in the words of the developer " classic shoot em up action featuring the sights and sounds of over 100 classic spectrum games! "